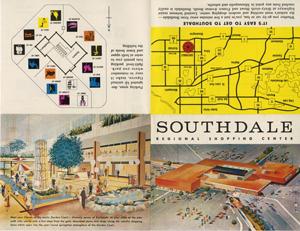 These images may be used for editorial purposes in magazines, newspapers and online to promote “Suburbia,” Oct. 10, 2015 to March 20, 2016, at the Minnesota History Center. Credit information is listed. 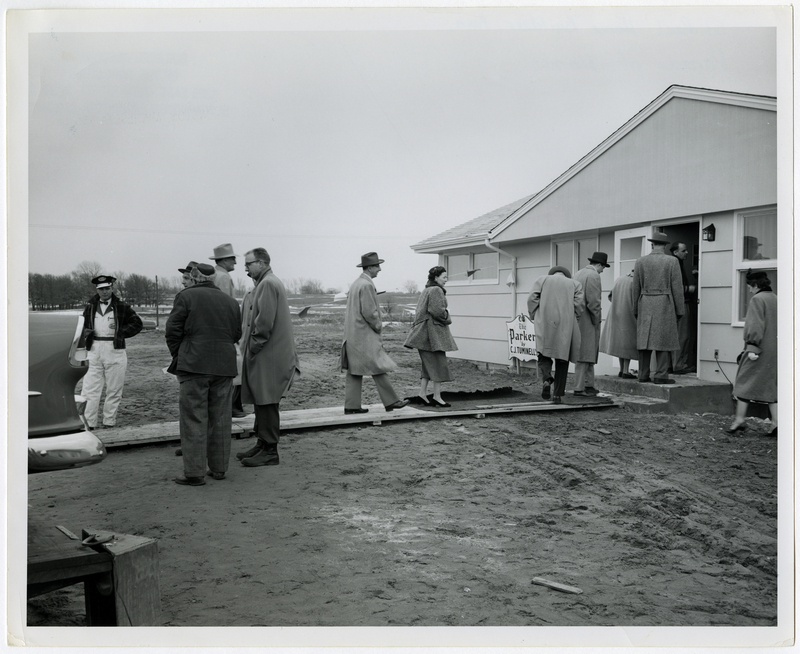 The return of servicemen after WWII helped fuel a housing shortage, which drove new developments. At the same time, new home-financing opportunities made the dream of suburban living come true for the middle class. 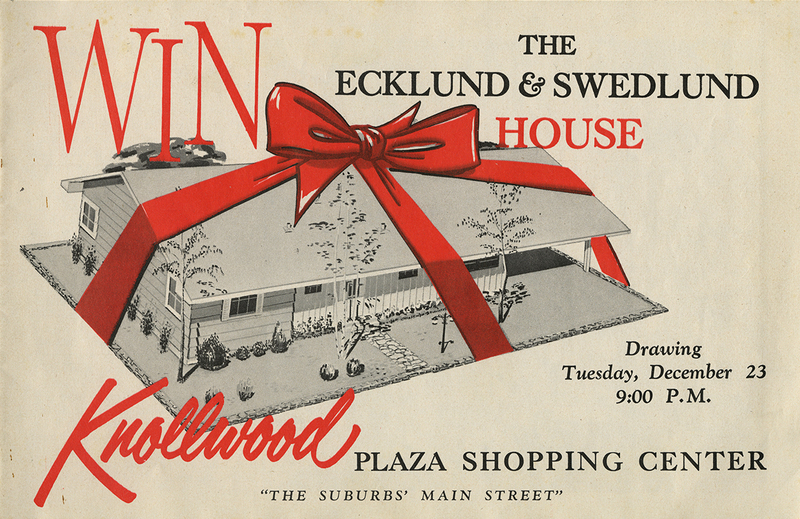 In 1958, Ecklund & Swedlund homebuilders launched a publicity stunt to bring attention to their Woodland Hills development: they built and raffled off a model home at Knollwood Plaza Shopping Center. Betty Bach, Mrs. Minnesota, served as hostess for the house. 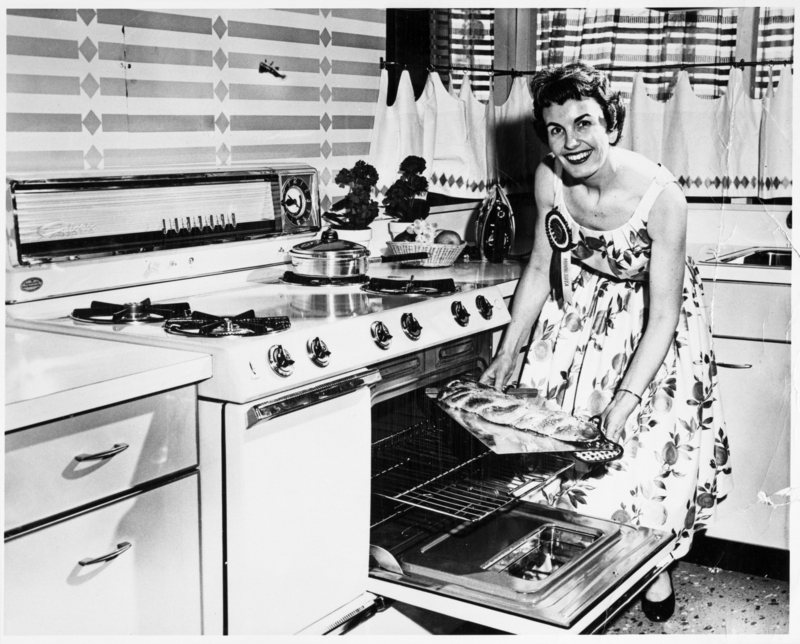 The Mrs. America contest was promoted as a search for the “best looking and best homemaker among America’s married women.” In 1958, Mrs. Alvin J. Bach of Columbia Heights won the Mrs. Minnesota title. She placed third in the Mrs. America contest. With the construction of I-94 cutting through the Rondo neighborhood of St. Paul, many African-American families had to move. 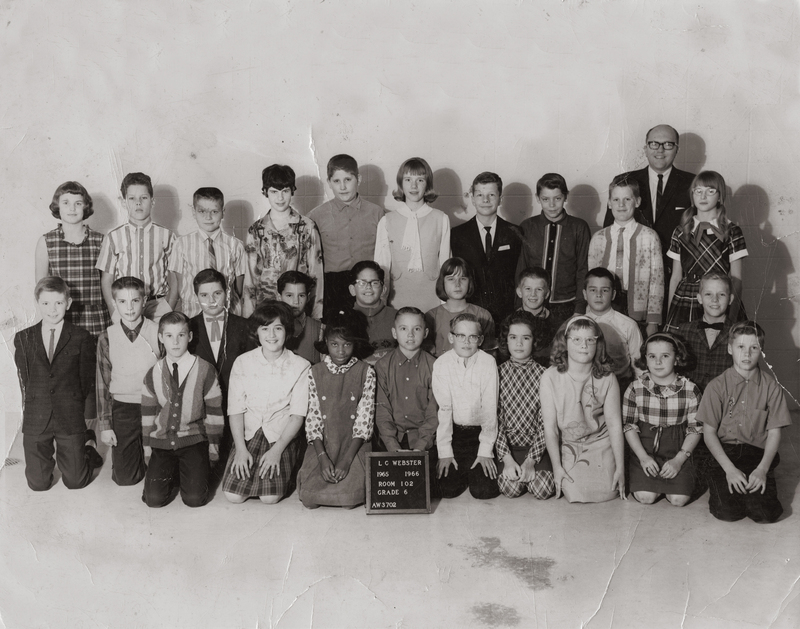 Roxie and Silas Smith decided to relocate to Maplewood, where their children were often the only African-American students in class.